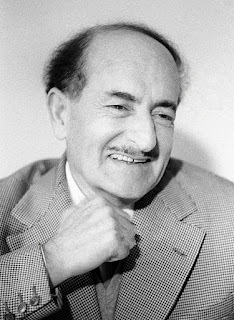 Salvatore Quasimodo, who was one of six Italians to have won a Nobel Prize in Literature, died on this day in 1968 in Naples. 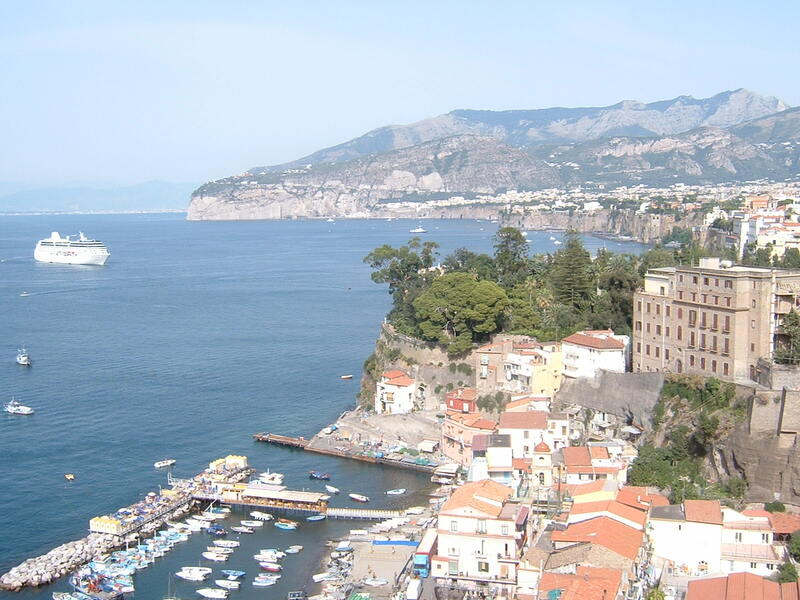 The former civil engineer, who working for the Italian government in Reggio Calabria when he published his first collection of poems and won the coveted and historic Nobel Prize in 1959, suffered a cerebral haemorrhage in Amalfi, in Campania, where he had gone to preside over a poetry prize. 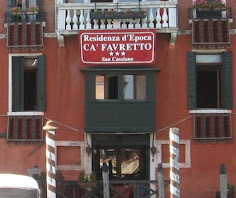 He was taken by car to Naples but died in hospital a few hours later, at the age of 66. He had suffered a heart attack previously during a visit to the Soviet Union. The committee of the Swedish Academy, who meet to decide each year’s Nobel laureates, cited Quasimodo’s “lyrical poetics, which with ardent classicism expresses the tragic experiences of the life of our times". 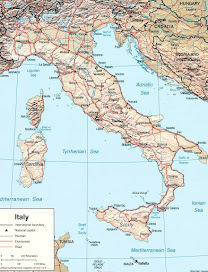 The formative experiences that shaped his literary life began when he was a child when his father, a station master in Modica, the small city in the province of Ragusa in Sicily, where Salvatore was born in 1901, was transferred in January 1909 to Messina, at the tip of the island closest to the mainland, to supervise the reorganisation of train services in the wake of the devastating earthquake of December 1908. Much of the city had been destroyed in the quake, as had Reggio Calabria, just across the Straits of Messina, and Quasimodo’s family lived in a freight wagon in an abandoned station. The physical devastation all around them had a profound effect on Salvatore, as did his daily contact with survivors in their struggle to come to terms with the destruction of their surroundings and the catastrophic loss of human lives, with perhaps as many as 120,000 killed in the areas worst hit. Quasimodo attended college in Palermo and, later, the rebuilt Messina, where he was able to publish his poetry for the first time in a journal he founded with a couple of fellow students. He graduated in maths and physics and moved to Rome, hoping to continue his studies with a view to becoming an engineer. But he had little money and had to abandon his studies in order to earn a living, taking a number of short-term jobs. In time he moved to Florence, where he got to know a number of poets and developed an interest in the hermetic movement, a form of poetry in which the sounds of the words are as important as their meaning. Eventually in 1926 he handed a position with the Ministry of Public Works in Reggio Calabria, working with civil engineers as a surveyor. 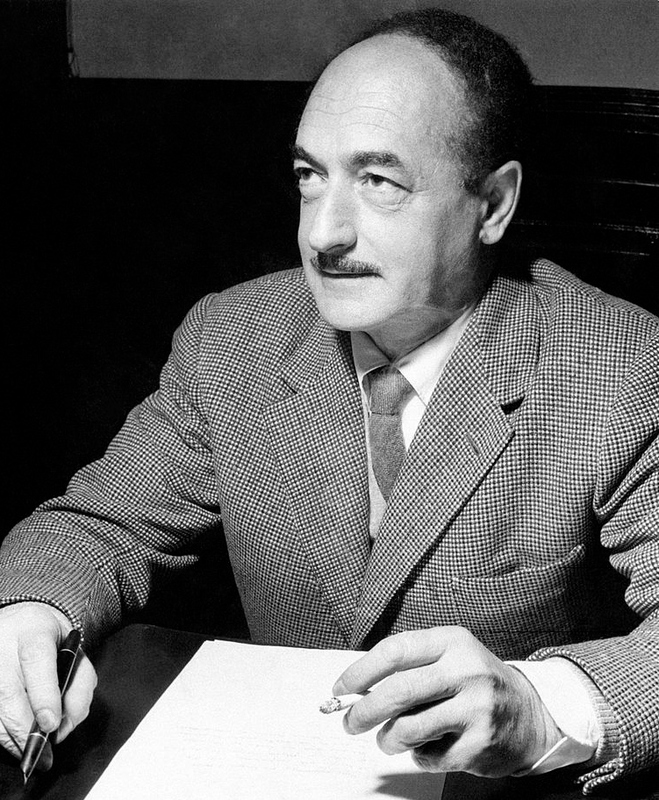 He continued to write and to study Greek and Latin, making friends both in literary and political circles, including an anti-fascist group in the city. He also married for the first time. His published his first collection of poetry, called Acque e terre (Waters and Lands) in 1930. He was transferred a number of times with his job, to Imperia, Genoa and Milan, before he quit to write full time from 1938. 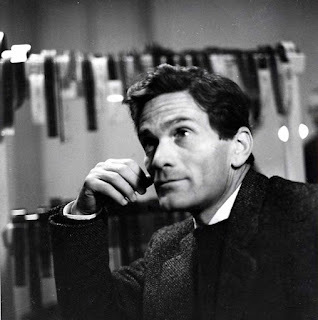 In 1941 he was appointed professor of Italian literature at the "Giuseppe Verdi" Conservatory of Music in Milan, a position he held until his death. After the Second World War, in which he was an outspoken critic of Mussolini but did not join the Italian resistance movement, his poetry shifted from the hermetic movement to a style that reflected his increasing engagement with social criticism. Among his best-known volumes were Giorno dopo giorno (Day After Day), La vita non è sogno (Life Is Not a Dream), Il falso e il vero verde (The False and True Green) and La terra impareggiabile (The Incomparable Land). He won numerous prizes in addition to the Nobel Prize, in which he joined Giosuè Carducci (1906), Grazia Deledda (1926) and Luigi Pirandello (1934) as Italian winners of the Literature award. 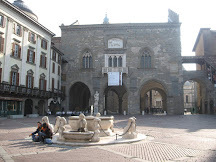 Eugenio Montale (1975) and Dario Fo (1997) followed him. After his first wife had died in 1948, he was married for a second time to the film actress and dancer, Maria Cumani, with whom he had a tumultuous relationship that produced a son, Alessandro, before they were legally separated in 1960. After his death in Naples, he was buried in the Monumental Cemetery in Milan in the Famedio - a place reserved for the tombs of famous people - alongside another great writer, novelist, poet and playwright, Alessando Manzoni. Built amid the dramatic landscape of the Monti Iblei, with its hills and deep valleys, the steep streets and stairways of the medieval centre combined with many examples of more recent Baroque architecture, including a spectacular cathedral, make UNESCO-listed Modica is one of southern Sicily's most atmospheric towns, with numerous things to see in its two parts, Modica Alta, the older, upper town, and Modica Bassa, which is the more modern but still historic lower town. Famous in Sicily for its chocolate, it has the reputation of a warm and welcoming city with an authentic Sicilian character. 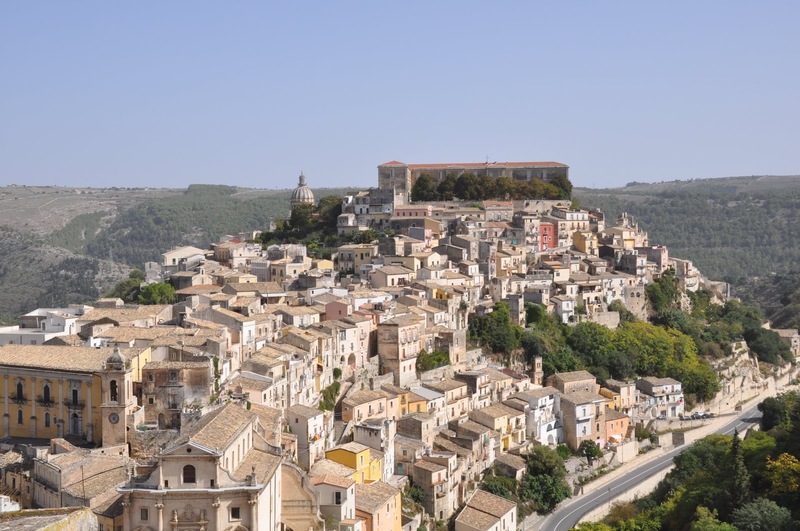 Nearby Ragusa, the principal city of the province and just 15km (9 miles) from Modica, is arguably even more picturesque. 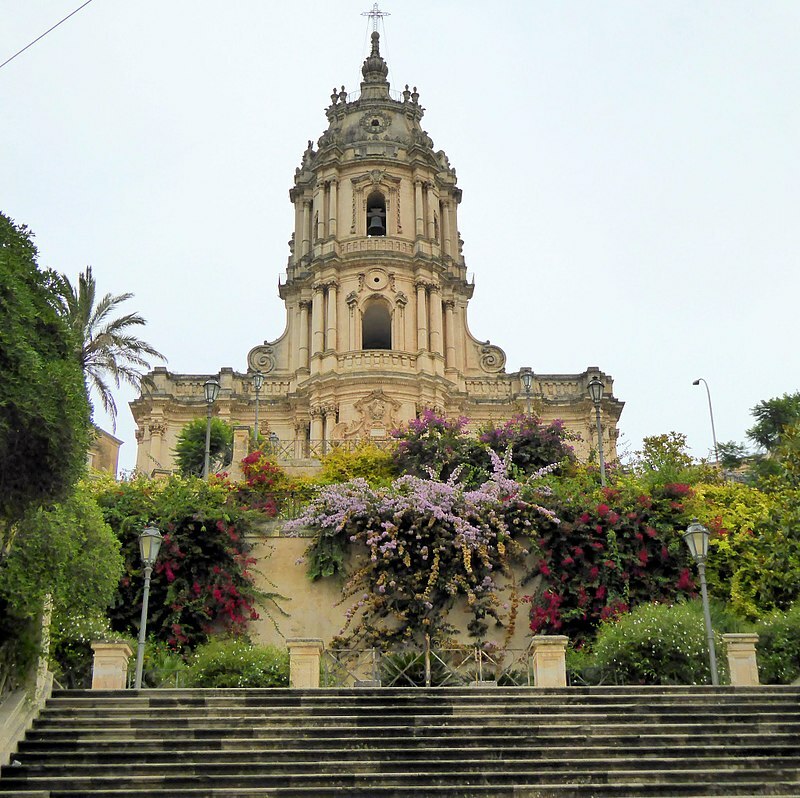 Set in the same rugged landscape with a similar mix of medieval and Baroque architecture. 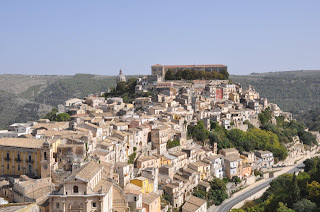 again it has two parts - Ragusa Ibla, a town on top of a hill rebuilt on the site of the original settlement destroyed in a major earthquake in 1693, and Ragusa Superiore, which was built on flatter ground nearby in the wake of the earthquake. A spectacular sight in its own right and affording wonderful views as well, Ragusa Ibla may seem familiar to viewers of the TV detective series Inspector Montalbano as the dramatic hillside city in the title sequence. 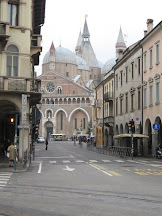 The city streets also feature regular in location filming for the series, based on the books of Andrea Camilleri.